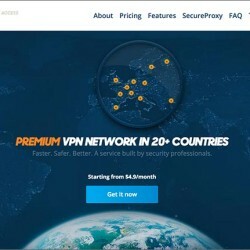 VPN.ac is a relatively small VPN provider based in Romania. However, this company seems to have a lot of experience serving customers in China. After I signed up their account, the welcome email I received pointed me to their special instruction for China users, which contains information such as which VPN protocols and VPN servers work better in China, as well as suggestions on how to configure DNS servers etc. VPN.ac offers multiple VPN protocol types such as OpenVPN, L2TP/IPSec, PPTP and has multiple VPN nodes in 16 countries.